Last week, I bought a microwave. 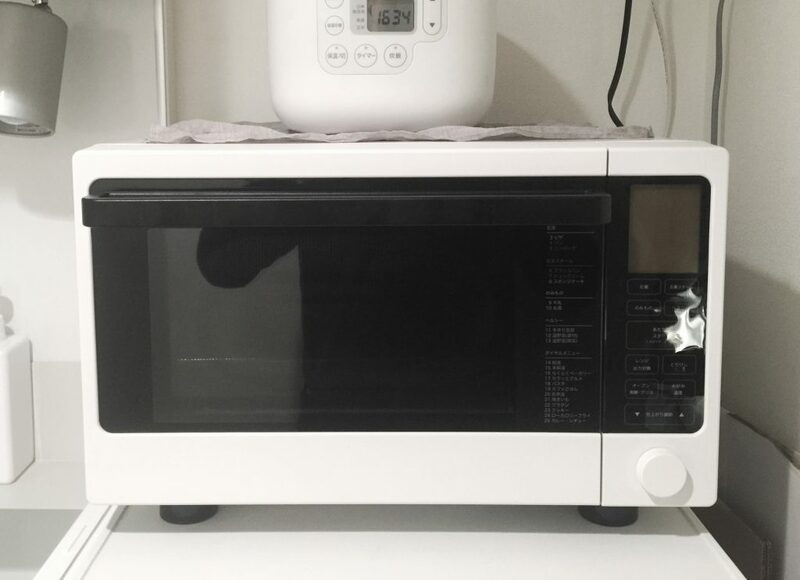 It was a white, cleanly-designed microwave oven from Muji. It now sits on top of my fridge, the aesthetics even more pleasing with the rest of my Muji-decorated kitchen. However, this was a lesson in my journey of minimalism. You see, I somehow managed to survive two years without a microwave, in Japan, the paradise of ready-food. When I bought a bento, I had to wait to get it heated up in the convenience store or supermarket. I have to eat them soon after or have to eat them cold. I could not leave any leftovers, so it meant I often ate even when I was no longer hungry. I can’t cook things that required an oven. When I absolutely had to, I brought food to my office to use the one in the pantry. It was not convenient but it was not a problem. After two years of living in Japan, I renewed my apartment lease for another two and decided that I was going to be here for a while. My microwave oven costed about ¥30,000 and the exchange of money and kitchen space to the benefit that I was going to get for the next few years have tipped a point where I decided to get one. There are many times where I seriously asked myself if something was necessary. The habit was always to give it at least a week of thought before deciding if I really needed it. But this was one of the times that when I was reminded each time that this was something that would give value in my life, I ignored it for the fear that I would “no longer be a minimalist”. Reading articles of people who own fewer than 50 things have shaped my mindset to say that if I want to be a minimalist, I have to ignore my need for a microwave and “make do”. However, all those times I was inconvenienced from a lack of an everyday appliance, it added to my mental stress and clutter, taking my mind away from things that truly matter. Of course, you could say that maybe I shouldn’t think it’s a need in the first place, but that heavily depends on your situation and location. We are all different and have different versions of minimalism. I enjoy owning products that give me value and, as a designer, with aesthetics I can appreciate everyday and my situation calls for it’s everyday use. I got my microwave, cooked a tofu hamburger meal for dinner, kept the leftovers for lunch the next day. I saved time, money and prevented food wastage. Today, I decided that owning more would make me more of a minimalist.